I got this recipe from my cousin Amna in Chicago. Amna was one of the world’s best cooks until she was confined to bed. Now she’s the best teacher anyone could have. I’m either in Chicago in her kitchen or on the phone with her from my kitchen in Florida. 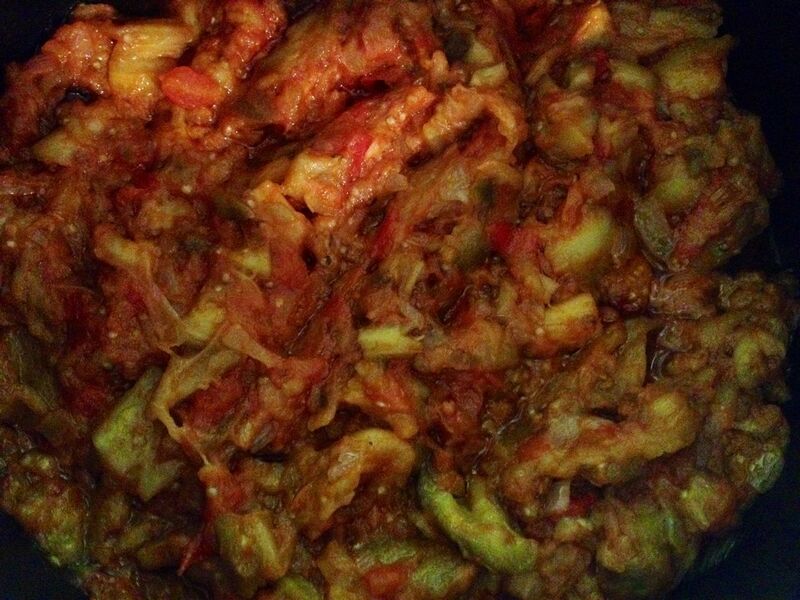 Eggplant Bhurta, or Baingan (Eggplant in Hindi) Bhurta, or Bangin’ Baingans (as the hubby calls it), this is a very flavorful and easy dish to make in a very short time. The picture above is not very flattering. I forgot to take a photo until after we’d eaten most of it so this is a closeup of the leftovers 🙂 with my trusty phone. 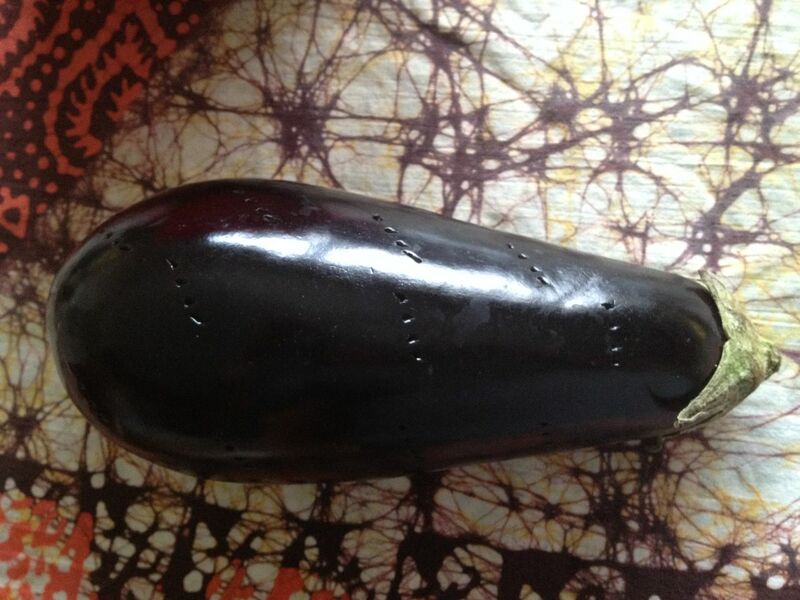 Pierce the eggplant all over with a fork and bake in the microwave oven for 7 minutes (standard microwave). While the eggplant is baking, chop the onion and tomato. Fry the onions in the oil until soft and glassy looking, add cumin powder and fry until the cumin gives off a roasted smell then add tomato, and tomato paste. Continue frying until tomatoes are just tender. Cut the eggplant lengthwise into four. Strip the skin off (allow to cool first) and discard. Chop the eggplant and add to the onion and tomato mixture and stir fry for about two or three minutes. Add the salt and cayenne powder and cilantro. Cover and let simmer on the lowest setting for about five minutes to infuse the eggplant with all the flavors. I served this with Biryani yesterday but it’s good with steamed rice or any of the Indian or Pakistani breads.